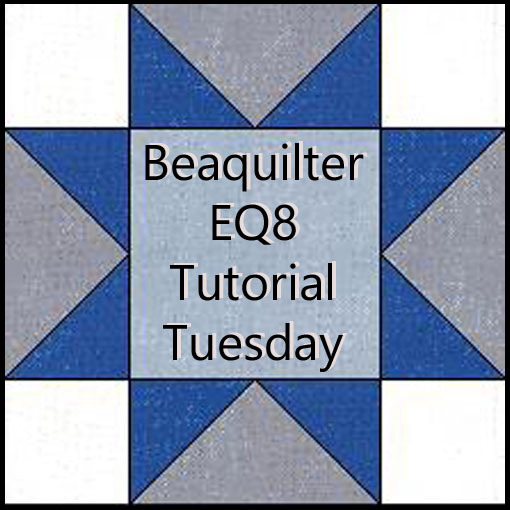 Beaquilter: Red White and Blue Block and Giveaway! 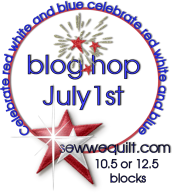 Red White and Blue Block and Giveaway! 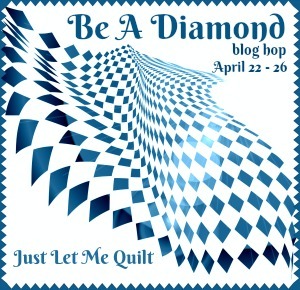 Hasn't it been fun to do this RWB blog hop?? and Jane at Jane's fabrics and quilts for hosting this! I've really enjoyed it! some great blocks and completed projects too and giveaways. I just used scraps for this one block. (1) 2" x 8" or cut it a little longer than 8"
On the back of the blue squares, mark a diagonal with a pencil or Frixion pen. Sew White and red #2 strips together on the long side, then sub-cut to 4 sets of 2"
Sew the Red #2 and White patches together to make (2) four patches, also finish the flying geese units. Place pieces as shown and sew together. Here's an EQ layout of what it would look like if you swapped the red and blue on every other block and rotated the blocks, will look great in scraps! have been VERY generous with this giveaway! This you know all their fabrics are made in the US! and the prices are great too. This was a red white and blue bundle I picked to go with our "theme" I love the nautical theme too! doesn't this bundle look great? And Connecting threads is giving away 3 bundles to 3 different winners! Of course I had to play in EQ with the same layout as above and use these fabrics. Here's the line up for today's RWB block BLOG hop. I'm a follower - receive your posts my email. Thanks for the chance to win. I already receive CTs newsletter. Thanks. I like CT on facebook. Thanks again. If I'm lucky enough to win, I'll make a donation quilt for my quilt guild. Thanks for the giveaway. 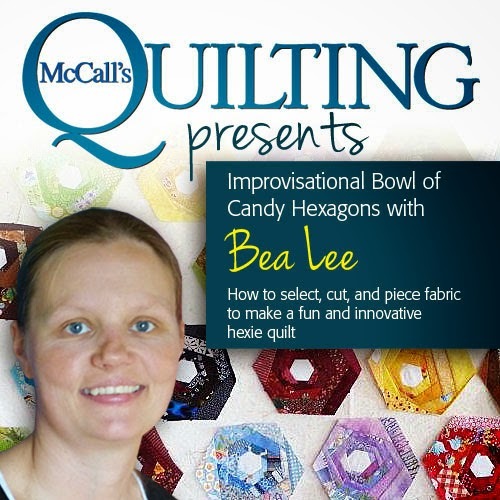 HI Bea, your block is fabulous and your giveaways very generous how nice...may I ask one wee favour..please add the rest of the blog hop ladies to your list sew everyone will know where to go next...thanks a heap..
Great block for this event. 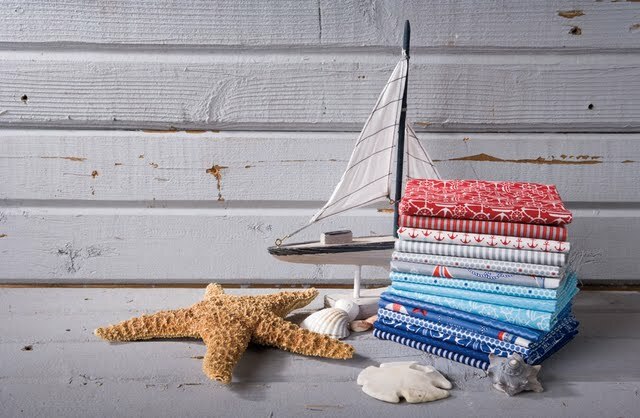 The fabric bundle would make a great little boy quilt, maybe sawtooth stars with the boats in the centers. Your RWB block is beautiful! I would make an RWB quilt of course! Love the sampler quilts and probably would do one of those! Cute block! I'm a follower! I liked Connecting Threads....truly I do! Not sure what I would make. I've never done a QOV quilt and those fabrics would be great. Thanks so much! I also get the CT newsletter already.. I am a follower, as you know! Love the RWB blog hop! You block looks awesome! I also "Liked" Connecting threads FB page. Love their fabric. I signed up for Connecting Threads email list, too! I love their site! If I win this awesome giveaway, I will make me a RWB quilt. I love their fabric even though, I've never been able to order anything. I have seen other people's purchases from there. Thank you and CT for the awesome prize and the giveaway! 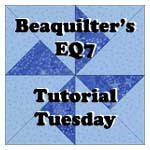 I have become a follower as I always wondered about electronic quilting squares - yours is great & it looks simple. Thank you for showing us the how and for the unbelievable giveaway. I really am a follower. Thanks for the giveaway! I've liked Connecting Threads facebook page. I liked CT page on FB. 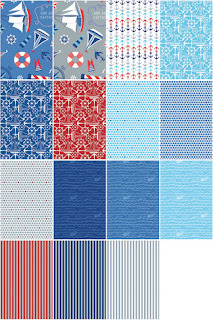 If I win the bundle I would use a nickle quilt pattern and make a lovely red, white and blue quilt. Thank you for the opportunity to win! Oh, and I forgot to say that I would have liked to make a quilt following your pattern here, if I won. I need to get that big girl EQ program--I just have the beginner one. Such fun blocks! 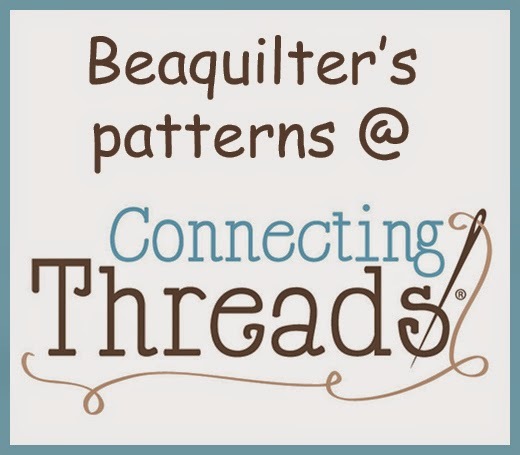 I am a new follower - this is what I love about these blog hops: discovering amazing, creative and talented quilters! I am already getting CT's newsletters!! Love your merged block and the quilt you could make with it. On my bucket list is to make a QOV within the next year. That's what I'd do with the red/white and blue bundle. I like CT on FB!! Hmmmm.... since this is a water themed bundle, I'm thinking that I'd make a beach blanket! Kinda wish I had the EQ7 to do the amazing things you have created with those blocks in this blog hop! What an awesome block you created and those fabrics sure do make a pretty quilt. 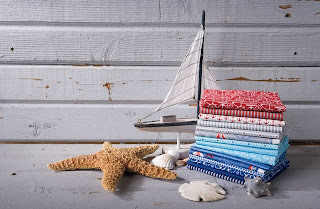 Love the sailboat fabric. I have been getting Connecting Threads newsletter for years and have ordered from them lots of times. They are good to work with. I don't do facebook but if I won I might make a table runner and maybe use your blog tutorial. Well done. New blog follower here. I really like your block. I subscribe to CT's newsletter and also follow Notions Blog. I really love everything about CT.
That FQ bundle is wonderful. I would have to make a huge picnic blanket for my family with that. I am a follower! I found you last week from the Blog Hop and signed up to follow - so glad I did! *When* I win the fabric bundle, I will put it together with some of my other patriotic goodies and make a New York Beauty quilt! I receive CT's newsletter! They are awesome!!! I'm already a follower thank goodness. I also get CT's newsletter already. What I would do with these? Tough question. But I'm guessing that I would turn it into a baby quilt for a little boy. There have been a bunch of baby girls born around me lately and I'm betting a boy is coming next. I liked you on FB as well! Thanks for the chance I do so LOVE connecting Threads!! Thanks for sharing your blocks and the quilt you designed for the fat quarters. I love Connecting Threads, in fact I just got a package from them. I do get their newsletter! Thanks for the great giveaway. Wow! I am once again impressed with your creativity. Could you rub some of that off on me? I am a very devoted and awed follower of your blog. I follow CT on facebook. I wait breathlessly for each of your posts on facebook. I would definitely be making a red, white and blue quilt!. I have been wanting to make a summer quilt and these fabrics would be perfect! I get connecting threads newsletter and am on FB. I love the FQ and will make table runners. Love your block. Great block - thanks for sharing. I love your block and the tutorial is so well done! Will have to try this one! I subscribe to Connecting Threads. Wow...gorgeous block and a gorgeous, generous giveaway! I would definitely make a cuddle quilt with the bundle if I was the winner...lovely fabrics! Bea , I became a follower. Looking forward to reading your posts. I already subscribe to the connecting threads newsletter. Your block is simply wonderful. Beautiful block and love the way you merged the 2 blocks in EQ! Of course I am a follower, great giveaway! I like Connecting Threads on FB, thanks! I like you on FB!! Thanks! I get Connecting Threads newsletter, thanks! Fun fabrics, if I won I would definitely make a tote bag to use when we go out on the river. Thanks Bea! Your block looks fabulous. There is something so refreshing about the RW&B combination. I'd use it for a baby outfit. I'd love to make your quilt with this fabric. Connecting Threads is a lovely store. They have some adorable fabic. I already receive CT's newsletter. I liked CT on FaceBook! I am liking CT on FB. I am also liking you on FB. I am one of your followers too. I now am on the list to receive CT's newsletter! When I win the bundle, I will make a lap quilt. The colors are perfect for a summer weight lap quilt for the sofa! 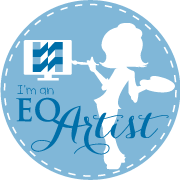 Plus, your EQ7 design utilizing the bundle is so cute, how could anyone resist? I subscribed to your blog in reader! nice blog and great block! thank you for the super giveaway! i signed up for the CT newsletter too! I would love to make a nautical themed quilt for dad who lives in FL - he loves blues and boats and fishing! Love your blocks and if I win ,I`ll add the blues to my Dear Jane blue stash fabrics and the red one for the 12 meses en rojo quilt I`m doing.Thanks for the giveaway!! I`m a new follower and received CTs newsletter!Thanks for the chance to win ! I would use the fabric to make a quilt for my son or my husband. I am signed up for the connecting threads newsletter. I love your block and way you combined the two blocks. I am now a follower of yours. That's what I love best about the blog hops, I find new blogs to follow. Thanks for the great giveaway. 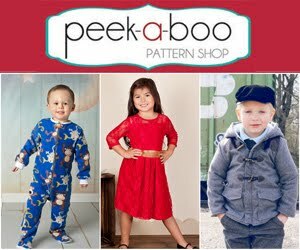 I love this fabric line!! I would love to make a lap quilt. I absolutely Love your Designs! I am a follower and Liked CT and your page on Facebook and have CT Newsletter. I would make a Purse with this Wonderful Fabric for a Friend Who loves Nautical. Her whole house is decorated w/this Theme. Thanks so much for the Giveaway! I subscribe to Connecting Threads Newsletter. I "like" Connecting Threads on FB. Bea, I love the block design that you did! I have wanted to get EQ for awhile now, just another reason I can see how useful it would be! :) If I won this bundle I think it would make a really cute little boy quilt, or even a nice wall hanging of an ocean/lighthouse theme. I also already "like" your fb page. I am now recieving connecting threads newsletter. New follower... love your EQ topper. Haven't quite mastered EQ yet. I liked connecting threads on fb. Would be a great bundle to incorporate with some lighthouse fabric in my stash... thanks for the chance. Oh....what a great fq bundle. I would use it in a quilt for my grandson who wants to be in the military. I do get CTs newsletter....and love it. I already follow Connecting Threads. Oops...I 'liked' CT on FB. I 'liked' your FB page. What a great post. The tutorial as usual is very good! Thank you very much for that. Among my favorite quilt blocks is the Jacobs Ladder which I think is one you used to combine and create your block. I love the block you created. I am already a follower of your blog Bea. I have previously 'liked' Connecting Threads on Facebook. Thank you Bea and CT's for the awesome giveaway. Great block, Bea! Love that you also showed how it would look in a quilt. Awesome giveaway! I am a loyal customer of Connecting Threads and receive their newsletter. I am a follower of our blog. Love your banner! I'm not positive what would be made from that great fabric bundle for sure, but of course, first thought would be a little quilt for my Grandson. Another thought was to make him a cute little summer outfit for next summer and a matching sunhat too and maybe, if enough fabric a little beach bag for his toys. By next summer he'll be about 1 1/2 yrs old so I'm guessing I'd have more than enough. I liked Connecting Threads on Facebook. I would make a stars quilt with the winning pack of fat quarters. It would be perfect. I already liked Connecting Threads on FB. I already receive the Connecting Threads newsletter. I would use the fabrics to make pillows for our summer house. 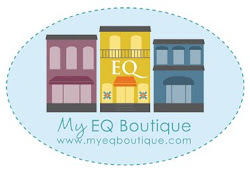 So jealous you have EQ! Waiting for Christmas to come along... :) I would make a quilt of Blackford's Beauty Blocks with that FQ bundle. Thanks for the giveaway and your block is great! I am a follower of your blog. Love your block too. I already subscribe to CT newsletter. I think I would make a quilt to use at the beach. Love your block! Excellent tutorial and suggestions also! These fabrics would make some really cute placemats. I like Connecting Threads on Facebook. I currently receive the CT newsletter. Wonderful blocks! Thank you for the tutorial too. I have enjoyed my visit here. And thank you for your kind comments about my blocks. I would make some of the fabulous blocks I have seen on the hop if I won the bundle. I love that you reproduced the Temecula 12 days blocks in giant size. what a great idea. Oh Bea, I just love your block. Two put together to make one!! Especially love the red fabric! Great tutorial, thanks for taking the time to show us. And my goodness what a very generous giveaway! Thanks for playing. Ms. Bea Iam proud to say I have become a new follower # 344. Thank You for the wonderful chance to wine these pretty fabrics. Hello again. Firstly, as a quilting newbie I will visit here often. The giveaway is fantastic, so I am a follower of your blog as of this morning (because I really like it), I liked your FaceBook page, very nice. I liked Connecting Threads FaceBook page. Great shop! I signed up for Connecting Threads newsletters. I would use the fabric to make a nice little bag to take to our local lake when we picnic. 120 down there now, so will have to wait till fall. Thank you so much for visiting my little blog! I love receiving CT's newsletter and someday I'll be able to do more that drool all over my keyboard! ;) Thank You for the Chance to Win some of their wonderful fabrics. Ohh Pick me! I could really use this for the Liberty and Justice Bee that just started this week and will last a year! I'm signed up for CTs newsletter. Great post. Ms. I have to say that I went back to spend more time reading your previous postings and enjoyed them greatly. I found them to be interested and informative. I have eq 5 on my puter and was amazed to see how you meshed two patterns together to create your R/W/B block then followed it with very precise directions that even a newbie like me could follow without issues. It was also nice to see what the finish layout could look like and that is very helpful. Thank You for the chance to win the pretty CT fabrics. I liked CTs page on facebook. I would make a picnic quilt with this fabric bundle. Love CT fabrics and their prices too. I already get CT 's newsletter/email weekly. I would make a large totebag with this bundle! And a mug rug set!! I'm signed up for the CT newsletter! Love you combining of the two blocks! Thumbs up to your FB! I get the CT newsletter, love it! Thumbs up to Connecting Threads FB! 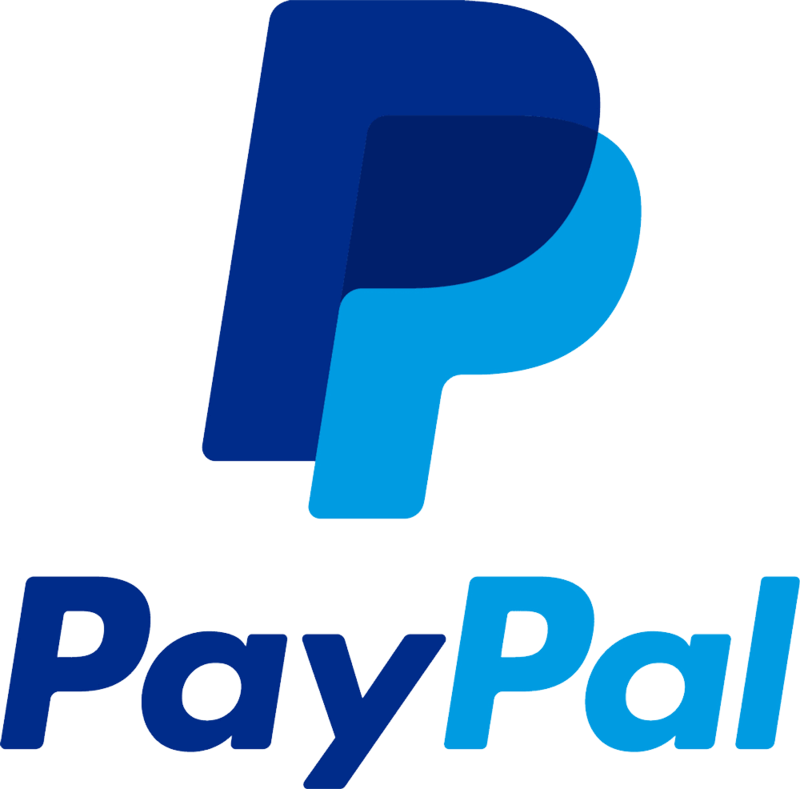 I order a lot from them, great service. I would make a quilt for my son who has a sailboat. The colors look very nautical to me. I would make a fun quilt to give as a gift. Thanks to you and CT for this sweet,and very generous, giveaway!! I already like Connecting Threads on FB. I love the way your block looks. Isn't it amazing how you can join two different patterns and get such an amazing design? I love shopping at Connecting Threads also. Their fabrics and prices are the best. Thanks for the giveaway. I already follow Connecting Threads on Facebook. I think I would use these fabrics in a little boys quilt. I already recieve CT's newsletter! I already like CT's Facebook page! I get the e-mails from Connecting Threads. I love their fabric and the kits. The fabric has a nice hand and a great price. Your block idea was fun. The merge came out great. Thank you and CT for the giveaway. I would probably make a pillow for my mother in law from this material - she has a lot of nautical themed decor in their home! I am following your blog now. I love this collection! So glad that I found this blog and feel like I've already won something. I would use these for a Quilts For Kids quilt.